With the Indian Super League (ISL) reaching the play-off stages, four teams will now battle it out for a place in the title clash next month. Last year’s runners up Bengaluru FC, FC Goa, Mumbai City FC and North East United FC have qualified for the semi-finals this season. There have been some phenomenal performances by the Indian players, with Ashique Kuruniyan, Anirudh Thapa and Rowlin Borges hogging the limelight. Sunil Chhetri, Udanta Singh and Subhashish Bose were a few others who managed to make a mark as usual. 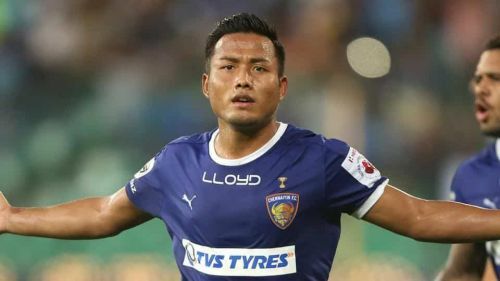 The ‘Mizo Sniper’ has been an integral member of the squad and helped Chennaiyin FC win two elusive titles in a span of four years, but he failed to fire in the ongoing season, scoring a single goal so far. This was probably the worst season for the team, having scripted just two wins in 17 matches till now. The ‘Marina Machans’ are set to finish the league as the bottom-placed team, which sums up the season. With a single goal and no assists to his name, Jeje has been ineffective this season which took out the sting from Chennayin FC’s attacking line. The star striker scored a sensational goal against Thailand in the 2019 AFC Asian Cup, which forced the then coach Stephen Constantine to give him extra minutes in the following game, but he disappointed, just like he did in the entire ISL season. Hopefully, he will come back stronger next time! Chennaiyin are set to compete in the AFC Cup as well. They make the group stages after a playoff tie with Colombo FC in all probability.